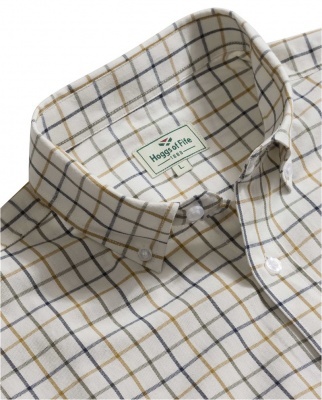 The Berwick short sleeve tattersall shirt from Hoggs Of Fife is made with the same great quality that you would expect from a Hoggs item. The short sleeves make it a perfect choice for wear in the spring and summer, and which has been made with 100% ultra soft brushed cotton fabric. Offering a cool and lightweight structure, the shirt features 2 rear pleats and an extra long drop tail to ensure that your shirt stays tucked in all day!